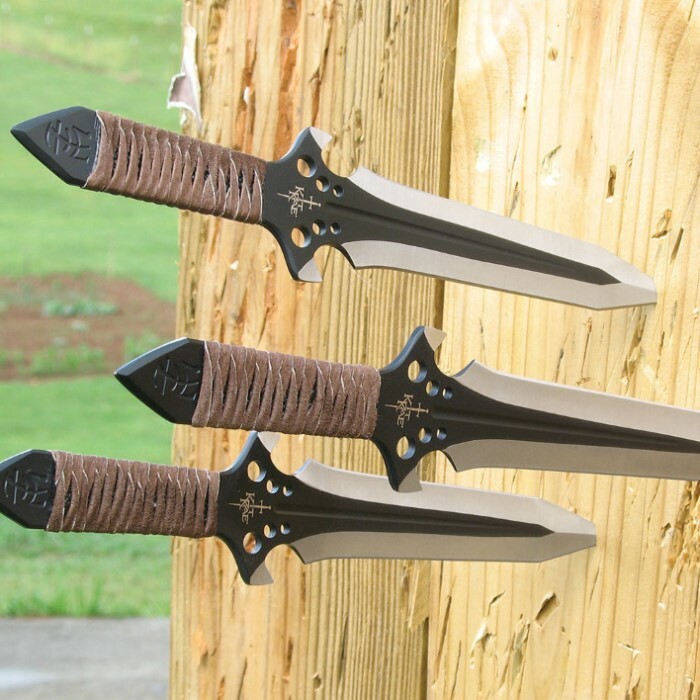 HellHawk 9 3/4 Inch Throwing Knife Triple Set | BUDK.com - Knives & Swords At The Lowest Prices! 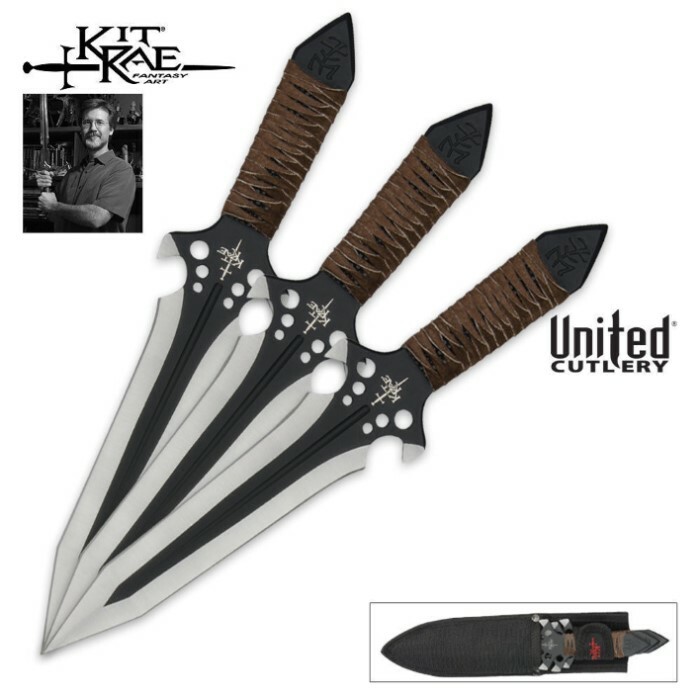 Kit Rae is well known for his fantasy swords and blades, but Kit has also been an avid throwing knife and axe enthusiast for many years. The HellHawk is constructed of one solid piece of AUS-6 stainless steel. Features a balanced handle-to-blade design for perfect throwing and a leather wrapped grip. Includes a nylon belt sheath for carry or storage. I got these yesterday and while I was dialing in my spins and distance I might've missed a few sticks but no big deal. The only problem I have with these is that they are some of the more expensive and the leather wrap came off in about half an hour. It's almost like the sheath was made for the knives without the wrap. It's not that big of a deal but still.